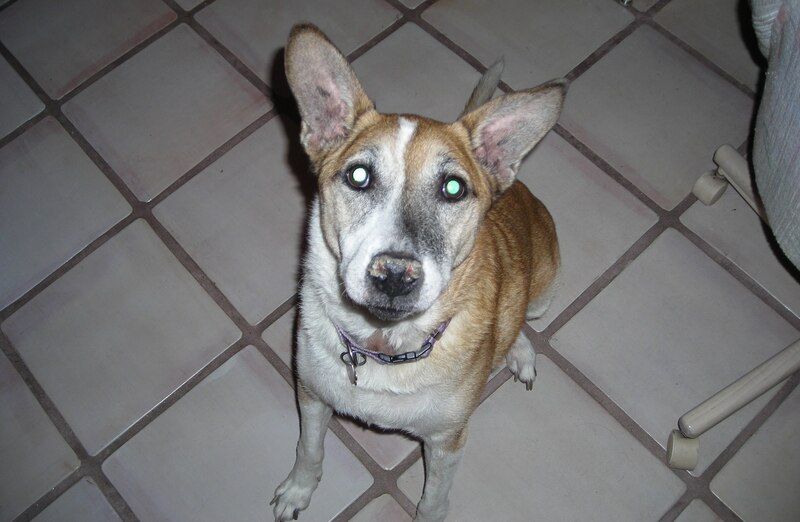 Taking a break from horror posts for a moment to remember my dog, Bingo, who was put down yesterday. For almost 15 years, he was an important member of my family. Now, this was a dog who was allergic to everything, from horses to grass to humans. He smelled horrible. His nose eventually became perpetually crusty, and pieces would fall off (sometimes he ate them). He occasionally ate his own poop, and had bad enough balance that when trying to pee on trees, he sometimes fell over. His farts cleared out rooms in seconds. Despite all of this, we loved him. This was also the dog who was nice to everyone, and whenever anyone came to the door he ran up to say hello, give them puppy kisses, and jump onto them in excitement. In his old age, he was docile and wouldn’t hurt a fly (though he did eat a cicada once). Children loved him. Grandparents loved him. He was very easy to love. 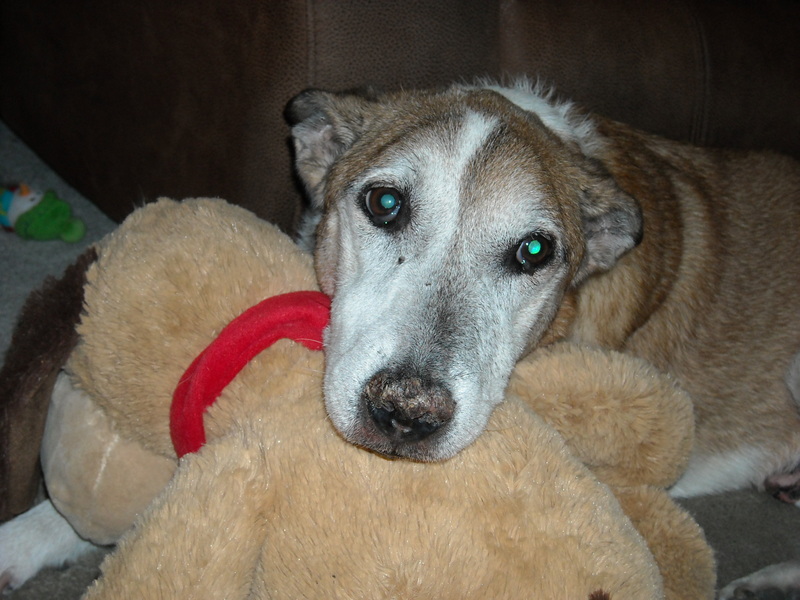 Bingo loved the simple things in life: his favorite treats were ice cubes and popcorn, and he used to enjoy carrots quite a bit. He was scared of fireworks and thunderstorms. We have a home movie from years ago of me doing something goofy in the foreground while Bingo sneakily jumps onto the table and eats half of a pizza in the background. One time, he ate a box of crayons that turned his poo rainbow. Our favorite game to play when he was a puppy was hide-and-seek. I would throw a toy into the next room and hide behind a couch, or the TV, or the armchair in the living room, and when he came back with the toy, he would look around for me until he found my hiding spot. Then he would get all excited, like he used to do when he spotted my bus coming around the corner, signalling my return from middle school. As he got older and older still, Bingo became my shadow. He would follow me from room to room, even when I just walked around aimlessly to screw with him. He would plant himself in my bedroom while I worked at my computer, and when I kicked him out for the night, he would scratch plaintively at the door to be let back in. It is already profoundly weird not having him around. His ghost seems to wander the empty halls of my house, and I half-expect to see him flopped over somewhere taking a nap. Such is life. Bingo passed away peacefully with his head in my lap. In my eyes, he will forever be the best dog anyone could ask for. Thanks! Dogs are so loveable, especially the sweet ones. I clearly have the best readers. You guys are too sweet. Thanks! What a wonderful tribute to our dear Bingo. He will forever be on our hearts. A lovely tribute to a lovely dog. I’m sure he led a lovely life with you, although I did laugh at the rainbow poo! So sorry to hear about Bingo. He was a wonderful dog. I’m so sorry to hear this news, Joanna. Thanks for sharing with us this fitting tribute to your great friend. Reading this post, it was as if we got to somehow reach out and pet and hold Bingo. I’m so truly sorry for your loss. But remember the happiness and love you’ve given him. That will live on forever for him.